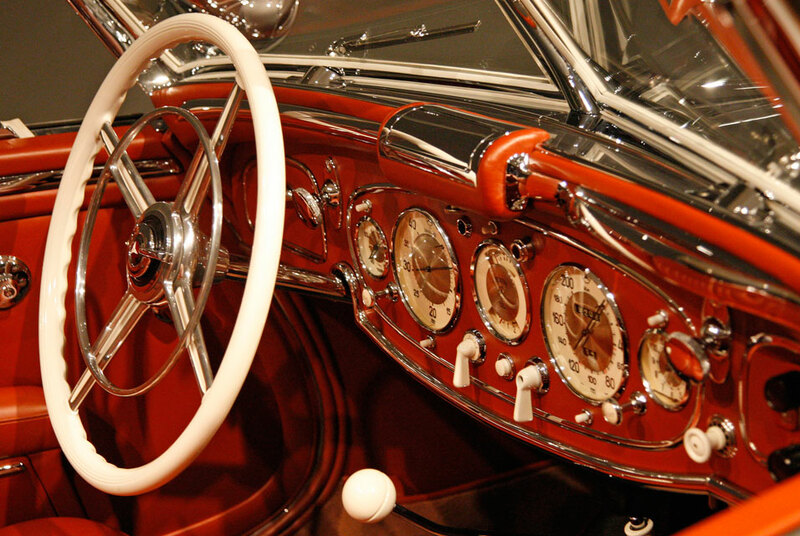 The front dash and steering wheel of a 1937 Mercedes-Benz 540K Special Roadster is shown at the Allure of the Automobile exhibit, at the Portland Art Museum, in Portland, Ore. 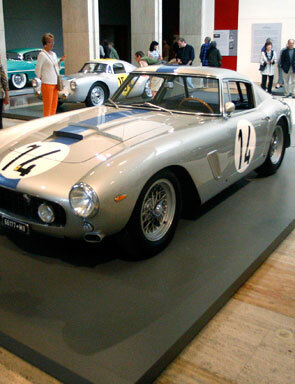 The Allure of the Automobile examines the golden age of automotive design by celebrating some of the world’s finest cars from the 1930s to the early 1960s. During this era of brilliantly designed automobiles, engineering combined with artistry and craftsmanship to produce objects of unparalleled beauty.